Every year thousands of people are involved in auto accidents and either receive inappropriate care for their injuries or never get their injury diagnosed properly. Dr. Miguel has over a decade of experience in treating and handling auto injury cases on a daily basis. 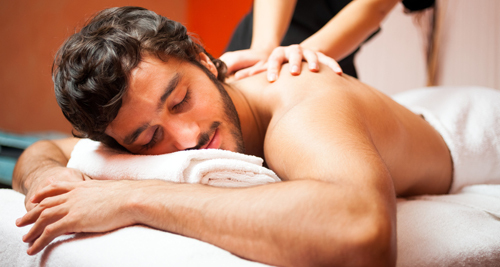 At Massage Addict, we are auto injury rehabilitation experts. It is important to get examined by a Doctor of Chiropractic immediately following an accident. Impacts as slow as 5 mph can cause whiplash, which can have dmamging long-term effects on the spine. Call us today, and our friendly, knowledgeable staff will walk you through the process step by step, providing all of the necessary documentation for the insurance company. One of the most important aspects of proper treatment after an auto accident is accurate documentation. We send a comprehensive report directly to the insurance company, written by Dr. Miguel, that details your accident, your injuries, and a walk-through of your treatment and progress. We take pride in being the experts in auto injury rehabilitation, offering the best possible treatment after an auto accident, and taking the burden off of your shoulders. Remember--No Health Insurance or No Attorney is NO Problem at our clinic!